As much as I love discovering the newest, top-rated restaurants in London, sometimes you just want to pop in somewhere, knowing that you can get good food, served quickly, that's not going to cost a vast amount of money. When I lived in Hoxton (a long, long time ago!) The Real Greek on Hoxton Square was one of those places. I'd go there with mates for pre-party feeding sessions, and at other times for a quick, good value snack. I hadn't been to any of their other branches in London (there are now 8 across London) but when I was invited to their new site on St Martin's Lane I was interested to see if they're still serving that same food we enjoyed way back when. I'm pleased to say that nothing's changed! I ordered a few small dishes to sample - to start with I had a taster plate of some of the dips, from the top - taramasalata (deliciously smooth and none of that bright pink supermarket stuff which isn't real taramasalata at all); a pea dip which I can't find the name for, but was really good and summery; melitzanosalata - smoked aubergine, garlic and lemon - which was light and very tasty; tzatziki - Greek yoghurt with cucumber, garlic, dill and fresh mint; and the red one, which was htipiti - Greek cheese blended with roasted peppers and chilli, which had just the right amount of spice to add a nice kick. What I really like about the dips at The Real Greek is they all taste so fresh and light. Often shop bought, and some restaurant, dips can be heavy, and lacking in their own distinct flavours but this wasn't the case at all here. If I could buy pots of their taramasalata my diet would be in a lot of trouble!! 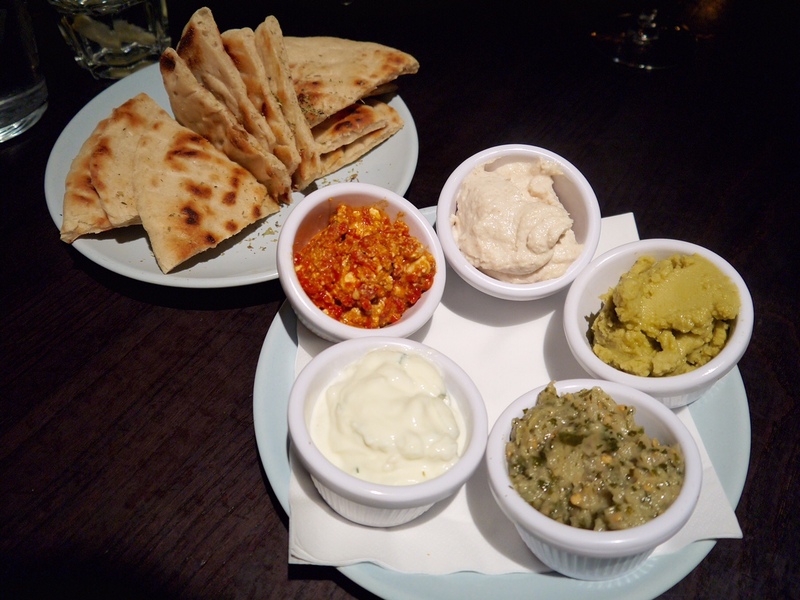 The flatbreads served with the dips were perfectly toasted with herbs and oil, and warm when they were served. 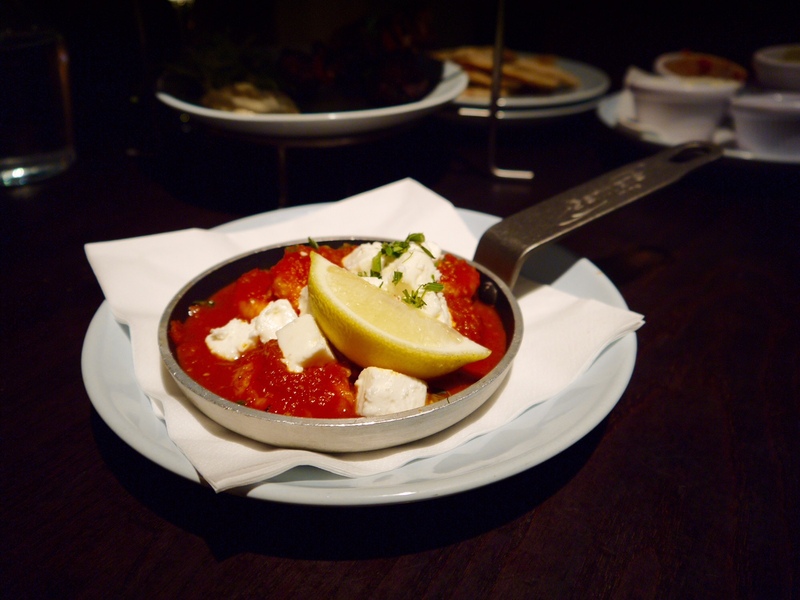 The Real Greek have had a few special dishes developed for their menu by Tonia Buxton, a Greek TV chef who's based in the UK, including Tonia's prawns with feta - tiger prawns served in tomato sauce with feta. The prawns were perfectly cooked, and I loved the rich tomato sauce, though I ate the feta separately - it might be just my taste, but I can't do prawns and cheese together! 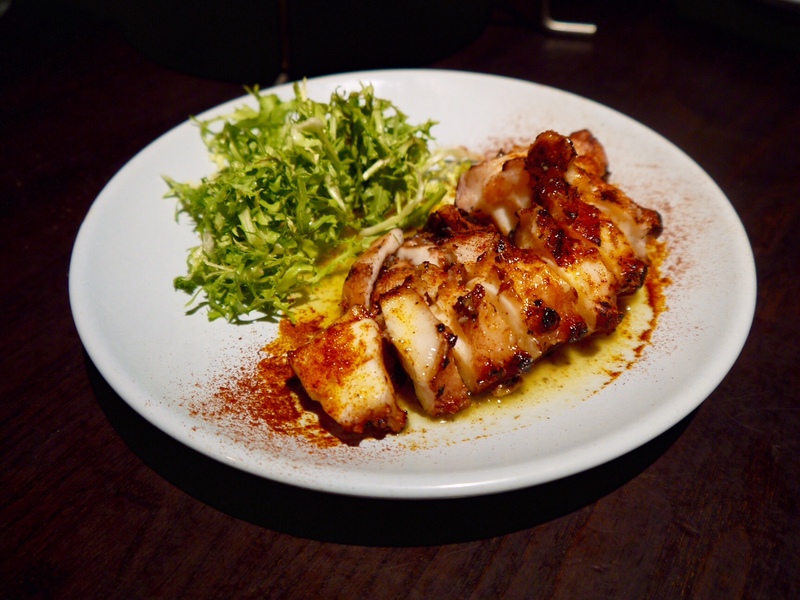 The chargrilled octopus tossed in olive oil, garlic and oregano was my favourite dish that evening. The octopus was so tender, with big Mediterranean flavours, that I mopped up the remainder of with the leftover flatbread. I love octopus when it's cooked right, and they get it spot on. 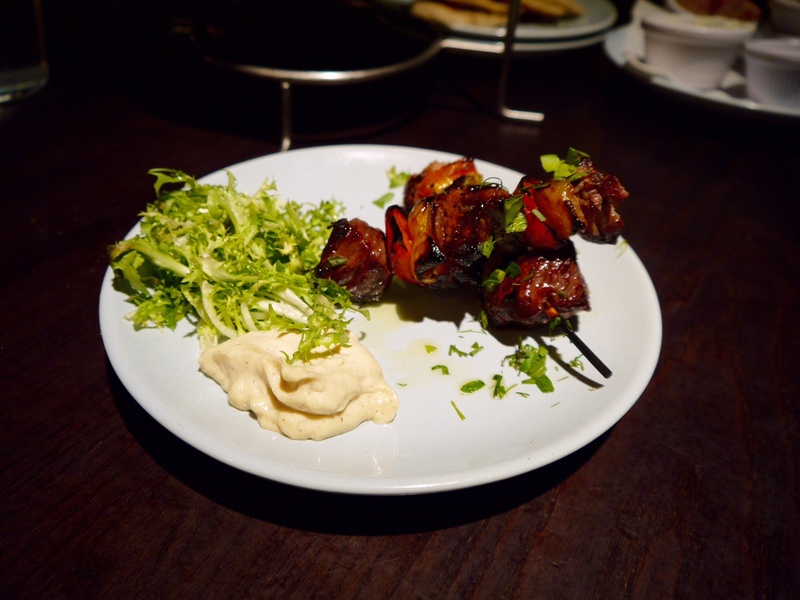 Finally, to add a bit of meat to the mix, I had the lamb skewer - made with British lamb, onions and peppers, marinated in paprika, and served with a preserved lemon mayo. I loved this dish - the lamb was still pink inside with a smoky char from the grill, and preserved lemon mayo might be my new favourite flavour of mayonnaise. It had a slightly bitter element to it which worked really well with the meat. Dishes at The Real Greek range from £4-7 are made for sharing. The wine list is very reasonable too and I enjoyed a glass of Makedonikos. To find your local branch of TRG, check out their website here. It's good to know there's somewhere to go for a quick fix of good, Greek food. Oooh I love Greek food, this place looks lovely! Will have to add it to my list of restaurants to try! Yum!! I'm a lover of Greek food as well! It's great isn't it?! I love all the flavours. I know, octopus done right is so good. Done wrong is another story but they got it right here! Thanks Andrea - you have to try proper taramasalata if you haven't - so, so good! Photos are all on my Panasonic camera, it's just a GF5 - nothing fancy! I use my iPhone torch to light images though like these ones, as it was way too dark in the restaurant, and I hate using the actual camera flash for food photos. This all looks so good and pretty awesome value for money too. I love nothing better than sharing foods. Literally the best type of food! The dips look amazing. I don't think I've ever had Taramasalata that isn't from a super market! I do love a spot of The Real Greek every so often! It's got to be done!! This looks great! I've only been once, ages ago, and wasn't sure what to make of it but these dishes look delicious. It's great to have somewhere quick and easy to eat - sometimes you don't want to queue or have to book a month in advance to get a reservation!